Interactive projector technology encompasses solutions that enable the user to actively engage with the projected image. Typically, the presenter is allowed to interact with either the projected image, the projector, or in some cases another device. Interactive Projectors essentially mimic the function of an interactive whiteboard on any surface where the image is projected. This allows the presenter to interact with the projected image using a stylus or a finger. Classrooms Projector performance has dramatically improved over the last few years. Images have become brighter and crisper. Resolution has risen to provide stunning WXGA & Full HD image quality all of which is designed to display computer and video sources in optimum quality. Projector Lamp-life has extended dramatically, costs have come down considerably and performance and reliability have extended well into the comfort zone. 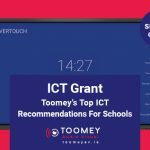 Possibly the single biggest development in classroom projectors over the last 10 years, has been the integration of interactive technology. Mount a projector on to a wall and turn a standard 6’ x 4’ (1800mm x 1200mm) drywipe whiteboard into a Full HD multi Pen & Touch interactive display with audio. What’s not to love. Over the past 10 years we have installed over 7000 projectors. We have seen remarkable growth in the area of Interactive projectors. 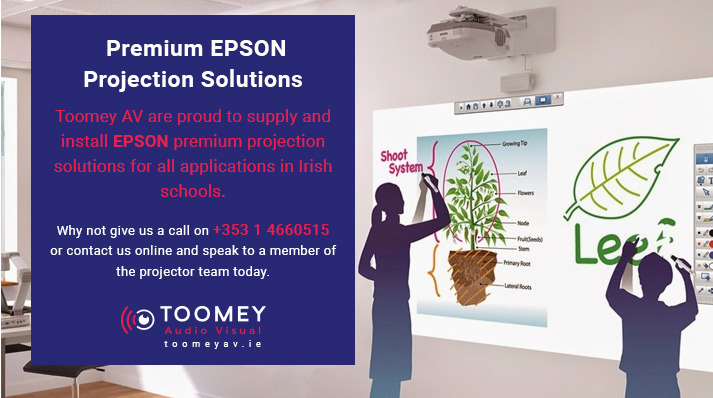 In Ireland, the leading interactive projector brand for schools is EPSON. EPSON projectors allow you to project a very large image size up to 100 inches diagonal and this is a very attractive proposition given the cost of large format interactive display screens. The Warranty is 5 years and replacement lamps are low cost. Now, what’s not to love! 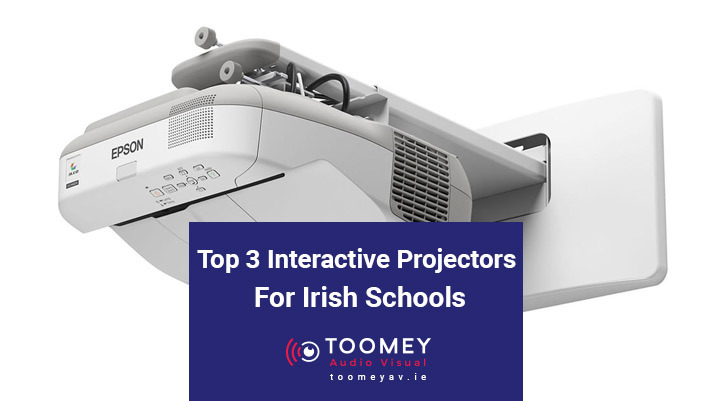 After installing over 7,000 projectors in schools around Ireland here are the top 3 interactive projectors. The EPSON EB 685w is our best seller. This projector offers superb interactivity thanks to its dual pen capability. With a high brightness of 3,500 lumens and HD-ready WXGA resolution, the EB-685Wi’s ultra-short-throw design allows you to present large images from a very short distance with minimised shadows and glare. A 14,000:1 contrast ratio and HDMI input means that students benefit from sharp, clear images. The EPSON EB 696UI is a full HD touch-finger projector that has built in interactivity allowing touch control with either the pens (which are supplied as standard) or your finger. This is great for collaborating with the students and is an extra tool for them to get hands on with the teaching material and to aid their learning. At 3800 lumens, this projector will display a very bright image even in the lightest of rooms, with the lights on – keeping a safe working environment – but it also has Eco features and will allow you to turn the brightness down if necessary when it is slightly darker. The WUXGA resolution is perfect for connecting to modern laptops and desktop computers via either HDMI, VGA or USB, and will comfortably project videos, presentations and spreadsheets in fine detail. This resolution is higher than Full HD /1080p so you will project in great clarity. This unit has 3 HDMI ports! The 16W speaker is impressive too and the Full HD resolution provides peace of mind and future proofs your classroom for years to come. 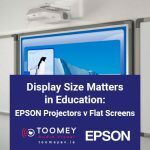 Toomey AV are proud to supply and install EPSON premium projection solutions for all applications in Irish schools. Why not give us a call on +353 1 4660515 or contact us online and speak to a member of the projector team today.